We’d love your help. Let us know what’s wrong with this preview of The Howling of Wind by Sig Nilsson. Ten years without daylight. Everything they knew was a lie. A society of children in the ancient far north live underground - and their lives are about to change. Woven into dreams and secrets lies a hidden prophecy - their quest for freedom comes at a staggering cost. Worse, three children are fated for the Hringur, a leadership ring required to reclaim their homeland. The Ten years without daylight. Everything they knew was a lie. A society of children in the ancient far north live underground - and their lives are about to change. Woven into dreams and secrets lies a hidden prophecy - their quest for freedom comes at a staggering cost. Worse, three children are fated for the Hringur, a leadership ring required to reclaim their homeland. The problem is, no one wants to be in it. An intelligent boy with not enough on his mind, Anders makes stunning mistakes as he is bedeviled by dreams of his missing father and the unwelcome news that he might have something called natural leadership. As his level-headed sister Sissel works to solve a mystery, her determination flares into daring acts of courage as they uncover shocking truths behind the prophecy. 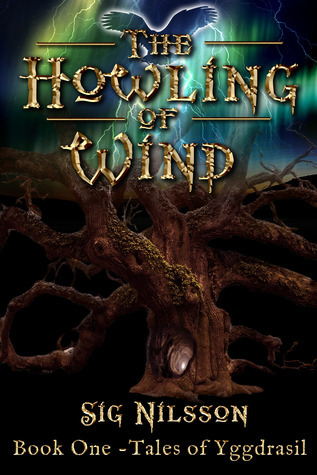 To ask other readers questions about The Howling of Wind, please sign up. Sig Nilsson began reading fantasy fiction as a child, beginning with her mother's original set of Oz books by L. Frank Baum. She lives in Portland, Oregon with her family.